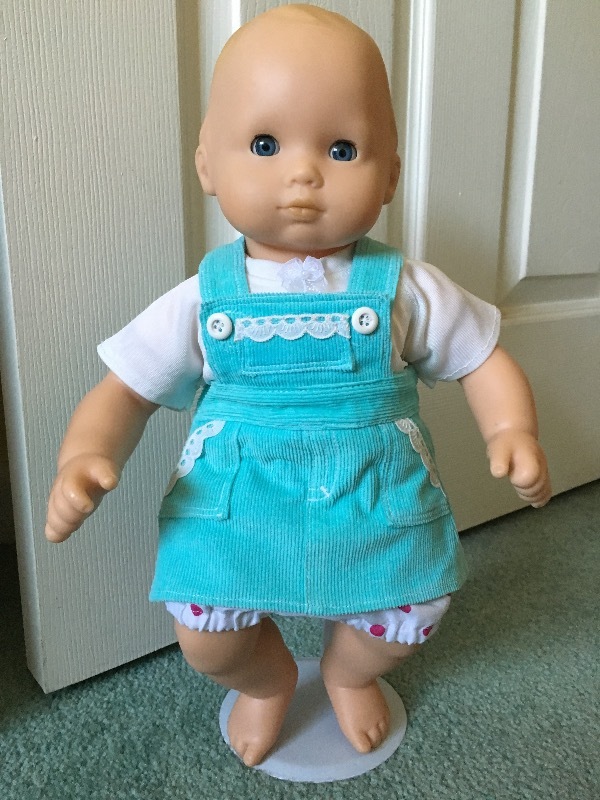 Get your babies ready for their next play date with this PDF pattern from Jen Ashley Doll Designs! This pattern includes two overall styles, a t-shirt, and bloomers to wear under the "skirt-all". -Tube Turner (This makes it easier to turn straps right side out.) These are available at most fabric stores for under $10. This is a great pattern for Bitty Baby Twins. Just finished my 3rd set for the twins I have. The pattern is easy to follow and fits perfectly. I bought this pattern to make for a Christmas present. I am still in construction stage but so far everything is going together nicely; however, it is not a "quick" project. There are many little parts (mostly pockets) and lots of top stitching, so you will spend a lot of time on detail work. That being said, the details really come together to make the outfit look cute. Give yourself plenty of time and you'll be fine. The pattern was clearly written and easy to follow. The results were very nice. 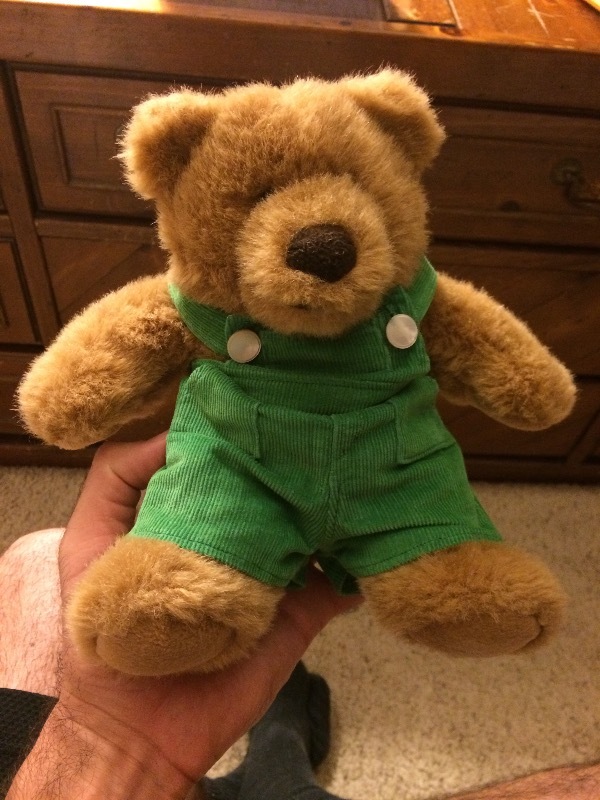 I used the pattern for Bitty Baby and for a plush bear. Loved the overalls! Just finished and mailed off to our Granddaughter! I made the outfit and sent it to my grandaughter for valentines day. The pattern was fabulous, the instructions were very detailed and clear. I thoughly enjoyed sewing the outfit and soon will put in an order for more.